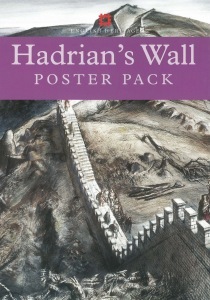 This unique poster pack will enable the study of the Hadrian’s Wall World Heritage site both from the air and ground level to give a fuller picture of the different elements of the frontier zone. From the artistic interpretations, the posters will show the ingenious design of the defences, the immense effort behind the construction and how people lived along the frontier. The pack comprises 8 A3 posters, with colour and black and white illustrations each side. It also includes an 8 page information booklet containing activities.